Amani Institute was founded in 2011 by Roshan Paul and Ilaina Rabbat, from India and Argentina respectively, who had a combined 25 years experience in working in social entrepreneurship globally. Through their careers in vastly different parts of the world, they had witnessed firsthand 1) the growing hunger for meaningful careers in the people they met, 2) the demand for high-quality talent from leading organizations all over the world, and 3) the inadequacies of the higher education system (including their own top-ranked universities) to meet this two-way demand. They decided to start an organization that would help people become changemakers – to create careers of meaning and impact. After two years of operating in Kenya, we made our first attempt to scale, by launching a second “campus” in Brazil. In 2017, we launched our third “campus” in Bengaluru, India. Today, Amani Institute has “campuses” in Nairobi, Kenya, Sao Paulo, Brazil, and Bengaluru, India with a diverse global staff that has deep prior experience in the private, education, and social sectors. Throughout this journey, a global network of partners have inspired, advised, seed-funded, and partnered with us. We wouldn’t be where we are without them, and we will always remain grateful. For incubation and advisory services, and an incredible network of creative leaders that have supported us in countless ways. For shaping our understanding of what it really takes to be a changemaker. For being our fiscal sponsor before we achieved tax-exemption status. For being our first donors, seed-funding, and encouragement. Roshan and Ilaina meet in Washington, DC and discover a shared passion for helping individuals build meaningful careers. 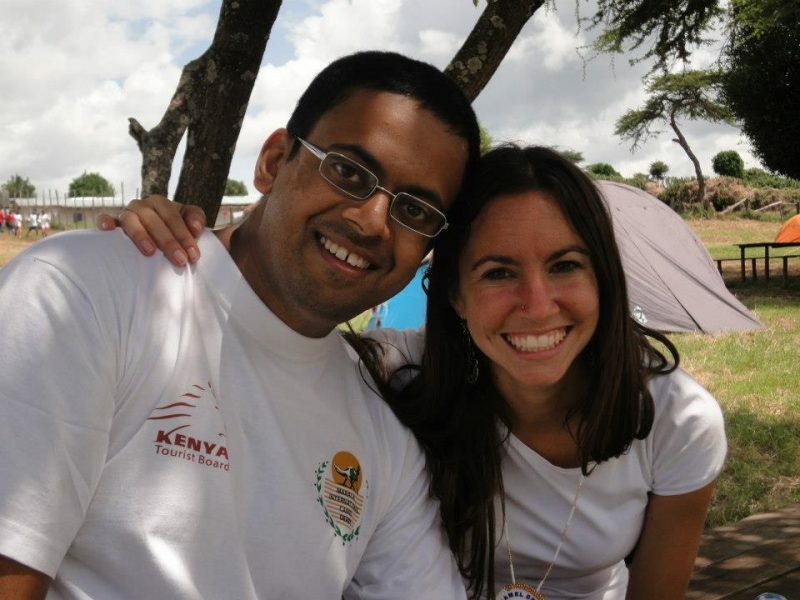 Roshan and Ilaina leave Washington, DC and move to Nairobi to work on Amani Institute full-time. A prototype course in social entrepreneurship in Nairobi has 23 paying students and brings many new ideas. The first class of Social Innovation Management (SIM) Fellows arrives in Nairobi. Many institutions start to contract Amani Institute to develop customized programs for their stakeholders: CISP East Africa, Green Belt Movement, Segal Foundation, and more. In partnership with Hivos, “The Hatchery” is created, Amani Institute’s first attempt to build innovation capacity across an entire industry – the creative sector of East Africa. FAE University in Brazil contracts Amani Institute to help them develop their own Social Innovation certificate program. Amani Institute launches the SIM program in Brazil. Through a partnership with Lynn University, Amani graduates can now get accredited degrees from leading institutions. The Young African Leaders Initiative (YALI) invites Amani Institute to run its "Civic Leadership" track, the only non-American-university invited to run a track. Full classes in both Kenya and Brazil mean Amani Institute has run 4 SIM programs in a year for the first time.